First things first, THANK YOU SO MUCH for visiting my star post: Ultimate Back To School Post for University Students. The amount of pins on Pinterest is absolutely insane, despite it being 2 years old. Now, on to what this post is about: stationery. I consider this the best part about going back to school season. Whether or not you’re in school, everybody likes to get their work done with aesthetically pleasing supplies in a nice, clean desk. Some people even become more productive this way, and surprise, surprise, I’m one of those people. I have been gathering the most aesthetic of my stationery ever since I started university, and this year my pile of things has just grown bigger. Therefore, I thought I’d share this with those people that obsess over stationery just like me. Minimalistic, clean, good quality pens that will make your writing look ever so neat. They come in different point sizes: 0.38, 0.5 and 0.7mm. Additionally, you can also find a “smooth writing” version of these pens over here, though these only come in 0.5mm and they are a bit more expensive. I bought a 10-piece set of these in black through Amazon, you can find the deal here. My first time ever buying them, I bought the 0.5mm pens and I knew I’d never look back. If you can afford them and you want a freakishly neat-looking handwriting, do check them out. I know, I know, why would you need 15 highlighters ever in your life? Easy: color coding and planner/bullet journal creativity. You will never regret this purchase if you do any of those two things. Not only do each of the colors look incredible on any kind of paper, but they also are smooth to use. They do not bleed much, if at all, and you can clip any of the two points’ cap on the other. I absolutely recommend these beautiful, neat and useful highlighters, which you can buy here. This is my first time buying these, though Amazon has recommended me to purchase them ever since I started ordering stationery. This year, I finally bought them and I know I will love them. I feel like I will be using them for whenever I’m studying and a lot of questions start coming up, or perhaps for when I want to extract the main points of what I’m studying or the exam-type of questions that will be coming out of those particular notes. Even though they’re currently unavailable, here is the link for you to check them out. The other sticky notes are from a store called Folder, though I can’t find a link to the exact item. The moment I saw these washi, I knew they were for me. Scrolling through Amazon recommendations, I also saw these beautiful stickers (there are 15 sheets in the pack) and both articles were for sure going to be in my cart. The washi looks INCREDIBLE, I am very picky about washi ever since last year’s, which I didn’t like and you’ll see soon the difference between the two, and these just look so beautiful and I’m dying to try them out. As a kid, I loved my stickers and when I saw these, they reminded me of that time and they look like the grown up version of the ones I used to like. Here are the links to the washi and the stickers! These I had also seen a couple years ago and I wanted to buy them, but I saw another, bigger pencil case that at the time was better for me. They aren’t the biggest of pencil cases yet they’re four, so you can have your pens and whichever other items distributed among them. I’ve already planned a few, promising distributions that I’m dying to try. Here is the link to the Amazon deal (they’re super cheap)! I’ve been buying these every time I get a chance. No matter which store I step into, if there are Stabilo stationery items, you sure know I’m going to grab a few. They’re of really good quality although I still find them to bleed through paper more than other alternatives. Can anyone ever get enough sticky notes and tabs? I don’t think so. You love them, I love them, everyone loves them. They’re useful! You can scribble something you really need to get done and stick it anywhere: your bullet journal, your desktop… You can even pin it on your pin board. They even make you feel productive when you take them down, make a ball out of them and throw them in the trash. I didn’t really need these but they looked so beautiful and I was in the mood to get some stationery with the back-to-school YouTube hauls and other videos. When I stepped into the stationery aisle when I was hunting for a good pair of jeans at Primark, they were doomed to be in my cart. I would’ve bought even more stuff but my parents’ glare made it clear that I was already going overboard. Now, they’re beautiful washi and all but they can easily rip and they’re very much transparent on the “white” sections. I was a newbie with the washi world but I saw them and, again, I fell in love with them. I felt happy buying them and using them on my spreads and they don’t even look half bad. This is all I’ve got for this stationery “haul” post (for now *side-eye*). Make sure to check out my other posts for your back-to-school essentials and tips overall! Stay productive, and as my new washi says, it always seems impossible until it’s done. Like, comment and share if you enjoyed this post and want more like this one! Any suggestion and feedback would be lovely. Have a lovely day and school year, x.
I’ve gathered a few of my own tips regarding beauty in my seventeen years of life. It may seem short and not only is it my experience, but my mother and sister’s, too, along with Youtubers and bloggers. So, let’s get into it! This has been a hack of mine ever since I was a kid. My father would wash my hair and blow-dry it for me until it was perfectly straight (despite how many times I would put up a fight for it). The next morning, all I had to do with it was run a brush through and I was done. As I got older and I started to go to high school, it was all on me and I switched to the morning hair-rush. I do not recommend this at all, as I also do not advice anyone to wash their hair daily. Both are mistakes. See, if you wash your hair and make sure it’s done the night before, you will only have to touch up in the morning (under 2 minutes, I swear) and move on with other matters. If it’s hot in your house and you don’t mind having wet hair and letting it dry alone, check out this messy braided bun for instant, natural curls in the morning. If you’ve got a very creamy lipstick that melts in the summer, pop it in there, too, and keep it intact! It literally has saved my only red lipstick, which I bought at the drugstore – no surprise there –, fell on my bathroom floor and didn’t break, but smudged all over. Remember: your fridge is your friend. You probably get up really early already, but I’m one of those people that like to take their time in the morning. I’m groggy but awake, so I’ll go slow as hell as I get myself ready and therefore I get up two hours before my time is up and I have to go to school. I know I could possibly do all that I do in an hour if I was any more awake, but I know how lazy I am and I know how to prevent going late. 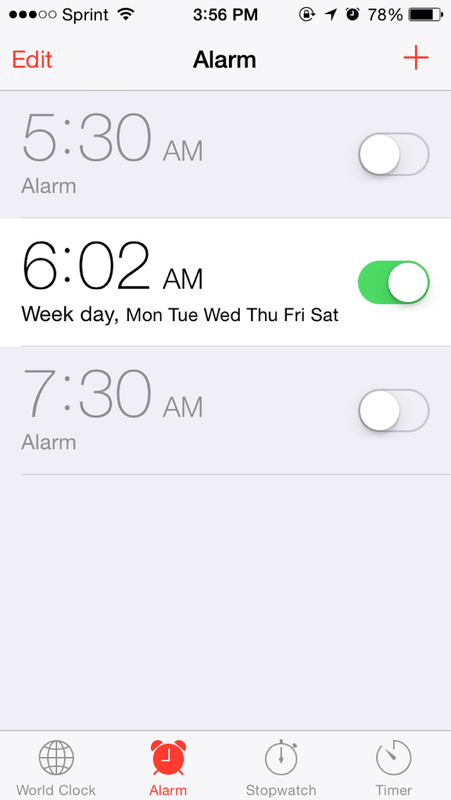 Getting up those fifteen minutes earlier for you to whine and wake yourself up actually work. (Though you should always sleep for at least seven/eight hours!!) During those fifteen minutes you can get your coffee and sit around for a while until the caffeine kicks in and you’re ready to start your routine. 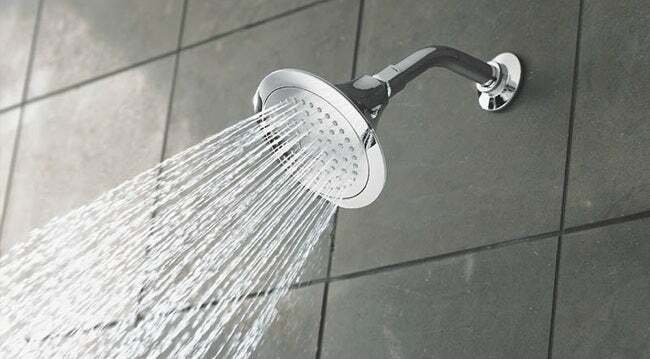 I know I just said you should wash your hair at night, or in the evening, but you should totally hop in and go through a 5-minute shower to wake yourself up. You can also brush your teeth at the same time (believe me, I’ve done it) if you’re running late, but you should always shower in the morning. You don’t want to carry your groggy self for the next few hours and this will do the trick. I know my mum doesn’t feel like mascara is that much important, but whenever she doesn’t wear it, she really looks sad and tired, even if she’s completely okay. If you are one of those people that doesn’t like make up but your face needs some pop, you will only need three drugstore products: mascara, concealer and lip balm. 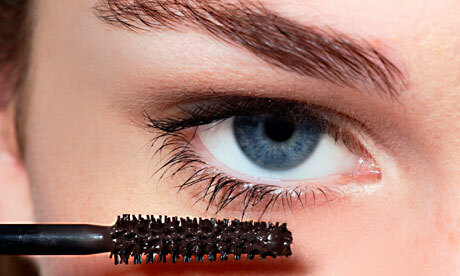 Apply concealer under your eyes and on your top eyelid to give your face a makeover. I swear, it works like a charm. Being careful here, apply some mascara without touching your top or bottom eyelid THIS HAS HAPPENED TO ME, and watch as you look like you’ve slept for days. To keep your lips hydrated and looking fine, apply a lip balm (maybe with some color to it?) and head out. You’ve got yourself ready in under five minutes. I know it’s easier to pour yourself a Diet Coca Cola but, seriously, you need some real water in your life. 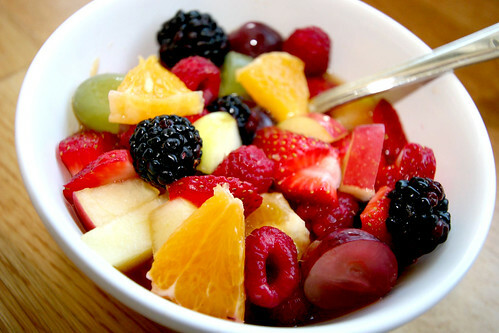 Put some fruit juice in it to make it more appealing, but drink water. Eight glasses a day aren’t that hard and your whole body, including your skin, will thank you. Junk food belongs, you know, in the actual junk. It will only make your whole health worse. Keep those chips and cookies away and substitute them for fruit. It may be because I’m a diabetic or because I live in the Mediterranean coast, but it simply is so nice to open the fridge, grab a (quite big) peach, peal the skin off and cut it into bite-sized pieces. 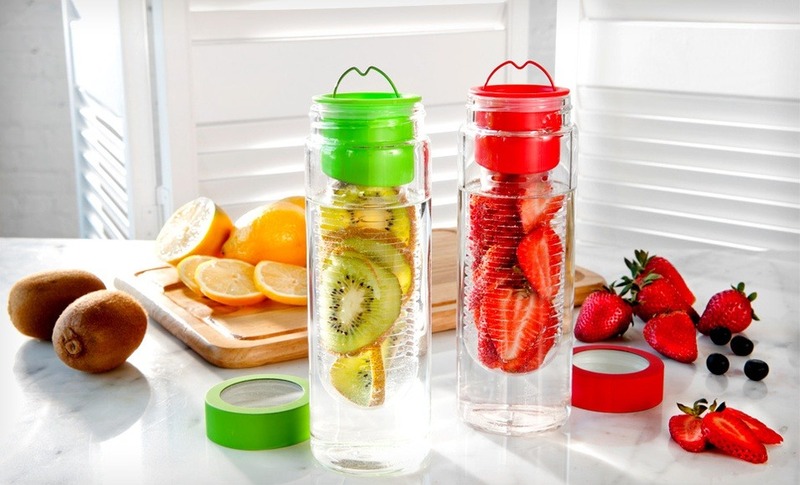 It is refreshing, it fills up your stomach easily and it doesn’t make you pick up unnecessary weight. Unless you’re like my mum and I and you can’t stop eating fruit for your life. You want to wash your hands throughout the day a lot, since you’re touching your phone, your laptop’s keyboard, your tablet’s screen… It’s all full of germs and washing your hands is very important, but I don’t think it’s as commonly known that washing your face regularly can be a good skin care. There’s tons of oils, masks, scrubs, but washing your face twice a day at least is a great skin care alone. Grab your face soap, like this one from Dove, and with warm water, rub it on your face. It is not at all pricey and it removes any makeup you may have on your face as well as your oils and dirt. I am not one to suffer from acne, but I have my fare share of oil and small blackheads, specially on my nose, and this soap makes it so much easier to cope with the troubles. It leaves your skin baby smooth and completely clean. There’s no magic solution to skin problems, but this is some awesome stuff. I am one to go all-in with my eyes on my morning routine. I love my eye-shadows, my eyeliner, my mascara and my brows, so I’ve gone through a few tricks when it comes to this particular part. I don’t use liquid eyeliner, but the pencil one and I still manage a pretty decent cat-eye. Grab a tissue and unfold it, put it under your bottom eyelashes and tilt it to follow the line of your bottom waterline towards the end of your brow. Draw your cat-eye using the edge of the tissue from the outer corner to the inner one. Repeat to your other eye and, boom, (almost) flawless cat-eye. When you’re starting to use foundation and you don’t really know which is best for you, you should definitely try it on your skin. Do not use your hand or your face, but your neck to check which tone is better for you. You don’t want your face looking darker or lighter, though the last is preferred, than your neck. Half a tone lighter can be dealt with but if you’re as much as a tiny little bit darker, it is noticeable. For foundation application, you should start with a good moisturizer and follow up with a primer. 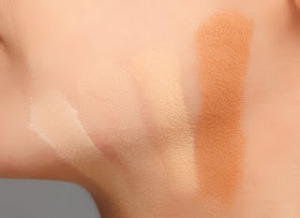 With a sponge or a brush, apply your foundation evenly. Once you’re done, you want to use concealer on problematic spots or dark circles under your eyes. Powder will help set it and highlighters, blush and bronzers will bring your face back to life, though these last three are optional. Setting spray will help keep your make up stunningly flawless during the day.